By Juli Novotny Goddard of BasilHealth a brand new health platform, designed to help you manage everything about your health, all in one safe place. You can easily organize, track and manage everything from health & medical data to lab results, fitness goals, daily nutrition, lifestyle information and more. Sign up for free! If you’ve been to any restaurants lately, you’re probably aware of the flash fried brussel sprout craze. They are pretty darn tasty. And once you’ve gone flash fried, there’s just no going back. 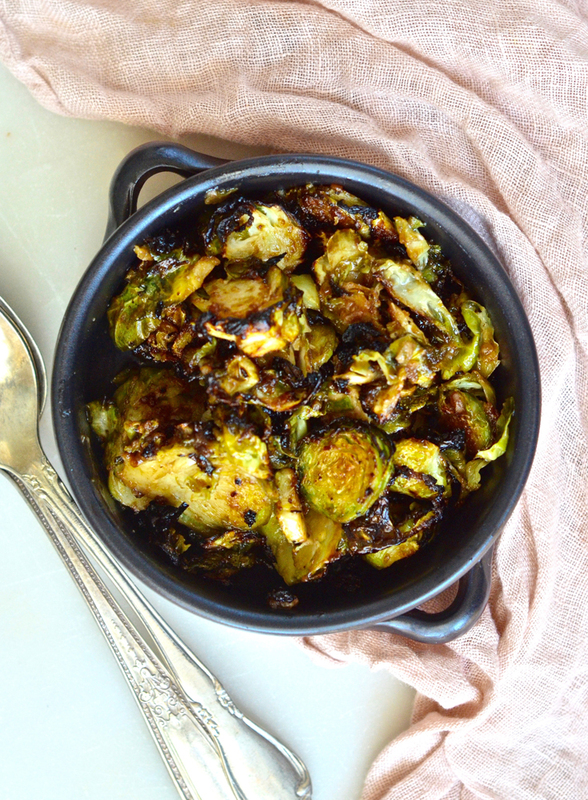 Truly, I’m spoiled when it comes to the blackened crispy flavor intense brussel sprouts–so I decided to whip up a (healthier) batch at home. Instead of flash frying, I chose to turn up the heat of the oven a tad and go from there. 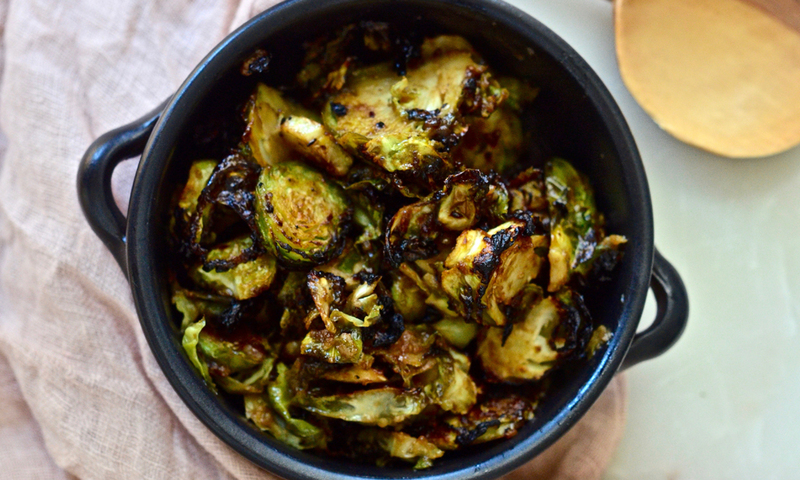 Tossing the sprouts in a healthy fat like olive oil or coconut oil helps them get crispy without having to douse them in oil. For the flavor, there’s plenty of balsamic and loads of garlic. The end result was fabulous. The trick to this recipe is chopping or shredding the brussel sprouts first. That helps get everything evenly cooked and reduces the amount of oven time. For more healing recipes, be sure to follow BasilHealth on Instagram and Like us on Facebook! Grease a cookie sheet with the butter leaving small chunks of butter throughout. Set aside. For the brussel sprouts, you can either chop them up into pieces with a knife or you can push them through a food processor using the cheese shredder blade. In a small mixing bowl, add the first five ingredients and whisk until well mixed. Combine the brussel sprouts and the balsamic garlic mixture. Rub the dressing into the brussel sprouts until they are fully and evenly coated. Place wet brussel sprouts on the greased cookie tray. Cook for 10 minutes or until crispy and browned but not black and burned. Note: You’ll want to check them every 3 or 4 minutes to be sure they do not burn. The smaller the brussel sprout pieces, the quicker they cook, so this cook time is just an estimate. 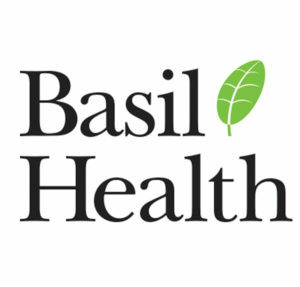 check out our friends at Basil Health!